Some members of our community have expressed an interest in playing Pickleball on the tennis courts. Since this sport is growing in popularity, and there is demand from our members, we are going to run a trial over the summer. 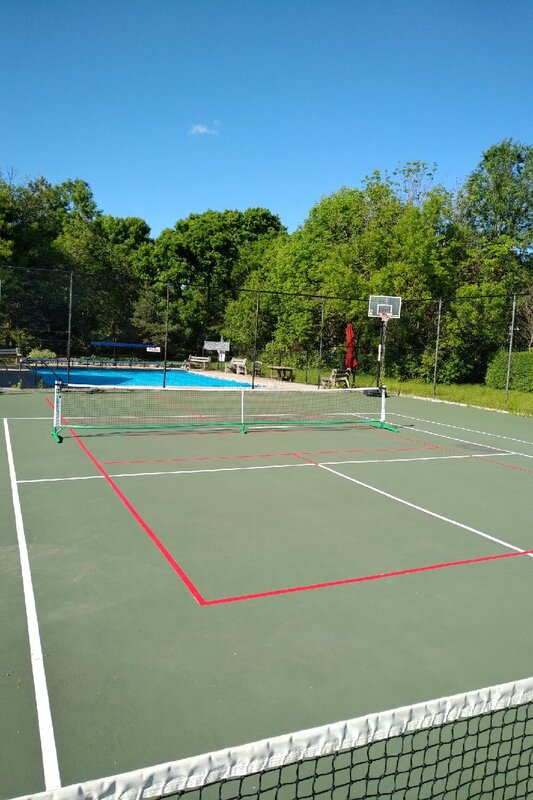 This trial involves temporary court lines overlaid on one of the tennis courts and a portable net that can be brought onto the court. Additionally, there will be racquets available in the pool house that can be signed out. The temporary lines should in no way impede tennis play but if you have any concerns please let a board member know. Meet at the pool. Please bring your own gloves and gardening tools. 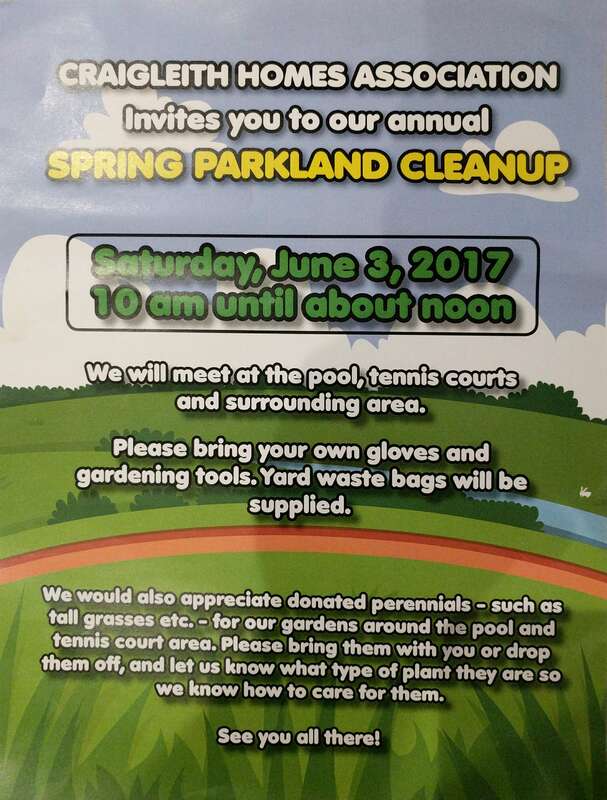 Yard waste bags will be provided. No gardening skills are required. We have lots of other tasks such as cutting back bushes and trees. We would also appreciate donated perennials – such as tall grasses etc – for our gardens around the pool and tennis court area. We’re happy to report that the pool passed the city inspection today and is now officially open for 2017! For now, the pool will be open on weekends from 12-4PM (including all three days this weekend). The hours will be extended to cover weekdays once the weather gets better.